We are a small, independent studio with a mission to advance digital capture and documentation of Pakistan's cultural, historic and artistic treasures. This blog is launched on 28th June 2016 in order to complement MMA's services towards Cultural Heritage sector and provide a dissemination channel as well as a forum for discussions and debate. If one could only do something about Cancer. Today in this city because of him. For love and someone absolutely close to my heart. Oddly thinking of her all morning. A pedestrian Bridge is being proposed for students, from private property- crossing public road. Site Plan of the DJ Science College, Karachi. Historical Background: The Northern extremity of the Rambagh Quater is defined by M.A Jinnah (Bunder)Road, the western boundary by Dr. Ziauddin Ahmed (Kutchery), southern boundary by Aiwan-e-Sadar) Roads, while Strachan, Mohd.bin Qasim (burnes) and Robson Roads divide this Quarter from Artilley Maidan Quarter. One of the major buildings of this Quarter is the Dayaram Jethmal Sind College designed by James Strachan and Dr. Ziauddin Ahmed (kutchery) Roads. During the 1870's this area had been a garden with trees and plantation, but by 1893, the impressive college building had been constructed in its place. One of the main gardens of karachi, the 'Doctor Burns Gardens' is also located in this Quarter. The D.J. 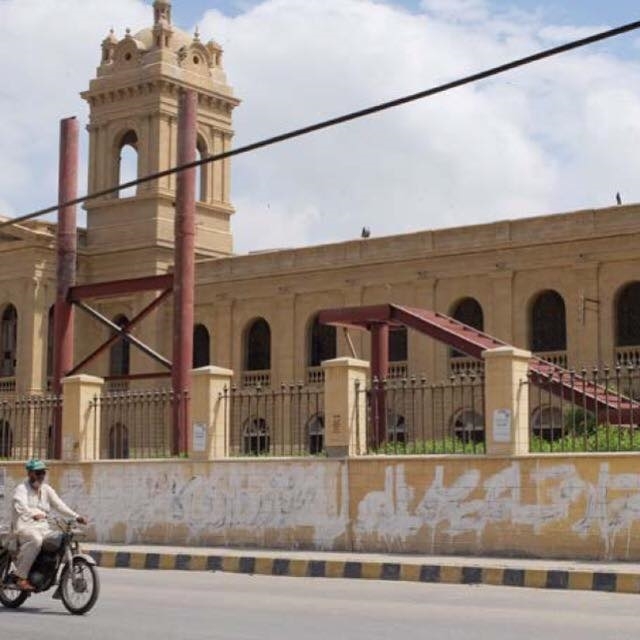 Science College building is majestic, well constructed in the Rambagh Quarter, old town Karachi. This building was inaugurated in 1887 by then governor of Bombay, Lord Reay, as the Sind Arts College. Diwan Dayaram Jethmal, a distinguished philanthropist was its chief promoter and benefactor. The D.J. Science College building is majestic, well constructed in the Rambagh Quarter, old town Karachi. This building was inaugurated in 1887 by then governor of Bombay, Lord Reay, as the Sind Arts College. Diwan Dayaram Jethmal, a distinguished philanthropist was its chief promoter and benefactor. It's unfortunate, that D.J. Science college administration did not take any advice from Heritage Committee/ Architects on intrusive construction for the pedestrian bridge for a 55 feet wide road. The width of the road, and the surrounding context does not permit for such a massive, insensitive construction. 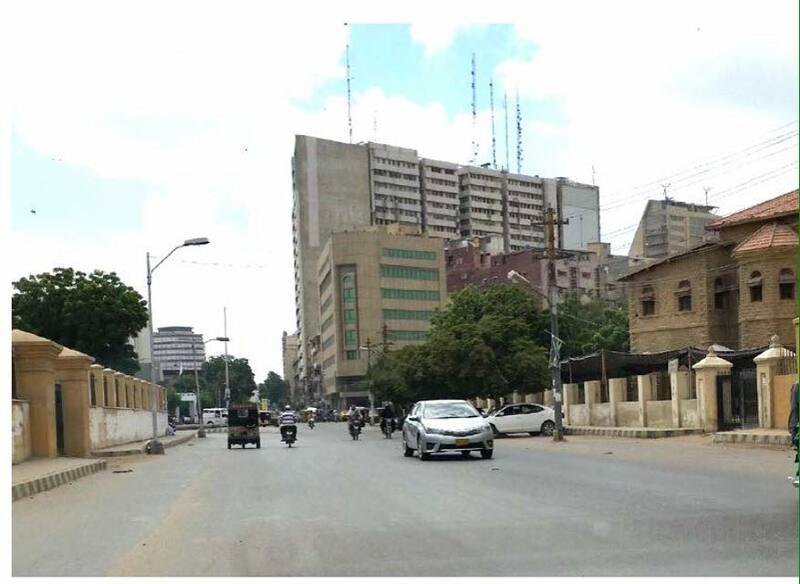 Culture of pedestrian signals need to be promoted in the old town, downtown of Karachi. By allowing the bridge construction, the committee will channel the trend of this type of construction in the sensitive heritage cultural precinct zone, which in future will be plastered with hoarding and billboards. The height of the bridge will be approx 20 feet high, obstructing the heritage facades leading on axis on Kutchery Road. Vehicles must yield the right-of-way to pedestrians within a crosswalk that are in the same half of the roadway as the vehicle or when a pedestrian is approaching closely enough from the opposite side of the roadway to constitute a danger. Since its a two way road, the walkway can have a designed approach, by adding an island in the center of the road and formalised footpath at point A to point B. 1. To have a traffic officer designated to help students cross during morning/afternoon college hours. 2. To have signage's across the road, in Urdu & English with speed limit restrictions. 3. Introduction to have zebra crossing with pedestrian signal as a suggested system for the Institution, and also start the trend of pedestrian signals across the Old Town/Downtown. 4. To add vehicle speed softening measures before pedestrian walkways.